Welcome to the online home of the Chris M. Carlos and Catherine Nicole Jockisch Carlos Endowment for Primary Sclerosing Cholangitis (PSC). Thanks to support provided by this endowment, dedicated Mayo Clinic investigators and their teams are making strides to better understand and treat PSC patients, with the ultimate goal of developing a cure for this disease. Follow the PSC page and stay up-to-date as we post news about advances in PSC research, clinical trials, and available resources. 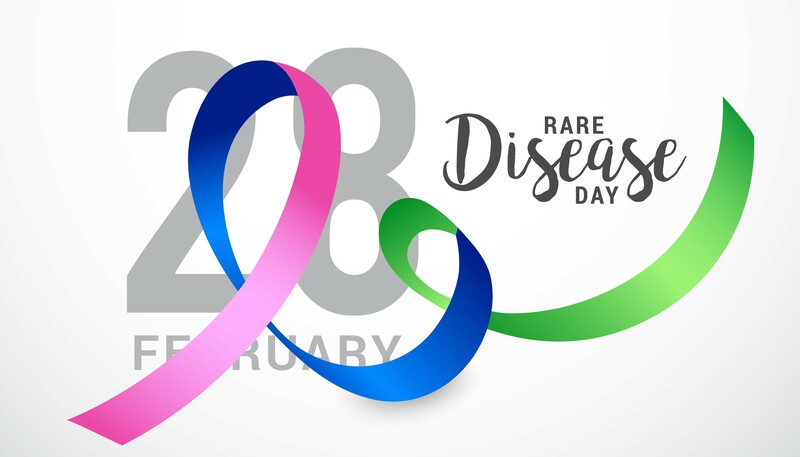 This Thursday, February 28th, we celebrate: "Rare Disease Day". Therefore, we dedicate this week's post to the anniversary of Rare Disease Day in an effort to raise awareness about rare diseases. Rare diseases are individually rare but collectively common. In the United States, a “rare disease” is defined as one that affects fewer than 200,000 people. Today, there are as many as 7,000 rare diseases and new ones are discovered every year. About 1 out of 11 Americans are living with a rare disease. In fact, the total number of Americans living with a rare disease is estimated between 25-30 million. Approximately 80% of rare diseases are not acquired, they are inherited and are caused by mutations or defects in genes. In addition, over 50% of the rare diseases remain sub-clinical in childhood and become clinically apparent and/or diagnosed during adulthood. Rare diseases are often referred to as “orphan disease”. Rare or orphan diseases are frequently not pursued by the pharmaceutical industry because they provide little financial incentive for the private sector to make and market new medications. Of interest, some of the most important drug discoveries ever made were founded on the basis of elucidating the genetic cause of a rare disease. For example, statins were developed as the result of the molecular discoveries causing homozygous hypercholesterolemia, which affects about 1 person in a million individuals. Given the lack of financial incentives to treat rare diseases the US Orphan Drug Act in 1983 has been a successful story of health-related legislation in the United States. Through a system of tax credits, government grants, and assistance for clinical research, the Orphan Drug Act has resulted in hundreds of approved orphan medicines treating over millions of patients. Patients affected by a rare disease have frequently a diagnosis but many rare diseases have no treatment. Extremely rare diseases that lack a diagnosis are termed undiagnosed diseases or diagnostic odysseys. Thus, although virtually all undiagnosed diseases are rare diseases many rare diseases are not undiagnosed diseases. Primary Sclerosing Cholangitis (PSC) is a rare disease. In the United States, large epidemiological studies on the incidence (i.e., the rate of occurrence of new cases of a disease per year) and prevalence (i.e., the proportion of all cases of a disease in a population) of PSC are limited. It is estimated that there are about 30,000 to 50,000 patients diagnosed with PSC in this country. However, the actual number of patients living with PSC in the United States is likely higher since individuals that remain undiagnosed or mis-diagnosed are not included in the estimation above. For all of us who study patients with PSC this is an exciting time for research. We are making progress to discover the cause(s) of the disease and plan to use this knowledge to slow its progression or find a cure. And in this effort, we are not alone. There is a dedicated patient support group: the “PSC Partners Seeking a Cure”, which provides education and support to patients with PSC, family members and caregivers as well as promotes more research for the disease. Moreover, there is an unwavering support from benefactors and the NIH to further study PSC with the aim to discover a cure for this elusive disease. These powers are coming together offering hope and optimism for patients with PSC. There is a robust momentum in place and this is needed for a major breakthrough that will transform in a positive way the care of patients with PSC. Send an email to invite people you know to join the Primary Sclerosing Cholangitis (PSC) page.